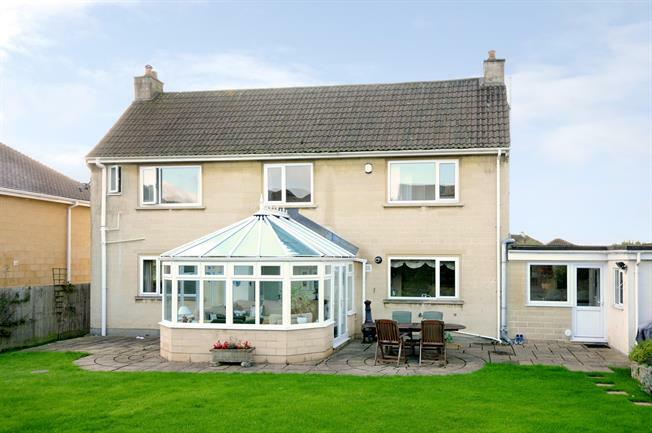 4 Bedroom Detached House To Rent in Bath for £1,995 per Calendar Month. A spacious and modern detached family home located in a highly sought-after residential area on the western outskirts of Bath, which allows very convenient access to Bath city centre, Bristol and the M4 Motorway. Accessed via a very useful porch is the sizeable entrance hall leading to a spacious reception room with triple aspect windows and a lovely conservatory overlooking the large, enclosed garden. There is also a second reception room ideal for formal dining or a childs play room, a modern kitchen/breakfast room, study, wc and utility. Upstairs the master bedroom has wardrobes and an en-suite, there are two further double bedrooms, a good-sized single and family bathroom. Outside is a well maintained garden, integral double garage and driveway parking.